Unity technologies is the creator of the popular game development tool by the same name. They have offices around the world and are closing on #1 market share for a game engine. Unity technology's team leverages Gyazo every day for collaboration between their offices in different countries. 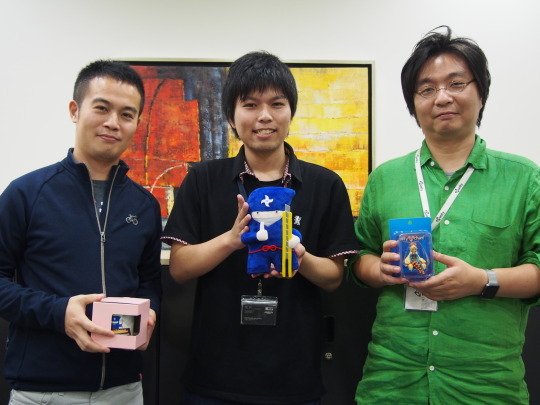 For our second visit with companies who use Gyazo we go inside Unity Japan! Hello, i'm a staff member at Gyazo. 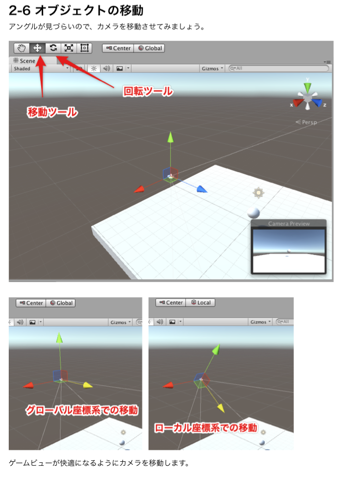 The staff at Unity Japan is made of many pro gamers who have gone on to make game tools. They have a stylish office in the first ward of Roppongi in Tokyo. They use so many scientific technical terms so quickly that it made me a little nervous. Starting from left, we have the engineer Mr.Ando, business development manager Mr.Someya, and creative strategist Mr. Yanase. These are the 3 people that gave answers to my interview. Ando and Yanase are both already Gyazo Pro users, and they all use Gyazo regularly. Now, first off... what unusual water bottles... you have original Unity-branded water? Yanase: "Yes, my team felt motivated to make products like this. 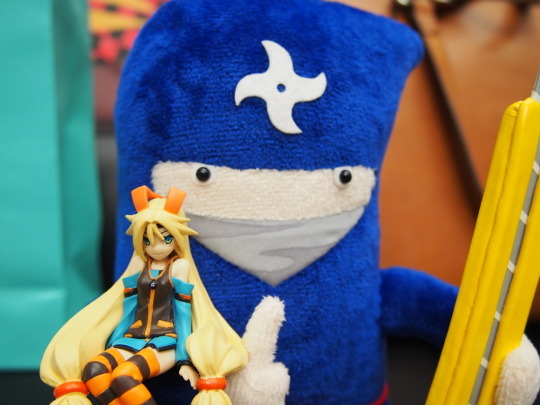 Haha"
Haha, it's too bad we don't have this at Gyazo... I hope this is not beyond our scope. It would be nice to have an opportunity like this. Next I'd like to hear about the time you first started using Gyazo. "Gyazo is less trouble. It's good for capturing desktop screenshots that are smaller than full screen." Q: How did you start using Gyazo? Ando: I think I started when I was a student and there was something I wanted to share. At that time there was no way... I thought there were no good tools to share the image from my screen. My first thought was to ask my followers on twitter. Yanase: I wanted a way to save time in chat-- I wanted an easier way to share. I thought it would be good if i didn't have to save after taking a screen shot. 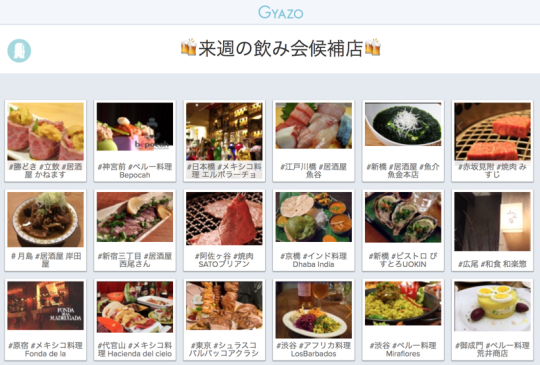 At that time one of my teachers, Mr. Masui (also the CTO at Gyazo currently) showed me Gyazo and I noticed many people around me were using it too. I thought "Really? This is a pretty popular tool". Ando: I have been a Pro user for two or more years.I cant remember when I started using it... Someone shared a gyazo image with me that made me laugh. I spent that year using it really frequently... but my memory of when exactly I started using it is unclear, haha. Each of them are now using Gyazo freely, but they have not been using it as much to share with other people. It seems that there are many different ways they are using it. Next I asked how it is used in their work. "By showing things directly in Gyazo we can work more smoothly together. We also use the drawing function a lot for support needs.. haha"
Q: How do you use it for work? Ando: Not only do I use Gyazo to share with others but also Gyazo GIF. Yanase: I use it to give examples of using the editor such as "When you want to do it this way, you can also try this option". Ando: That's true. There are many things that are hard to explain to our other offices because my english is not the best, haha. At first I was making a lot of videos but recently I have been using Gyazo GIF to make them more quickly and easily. 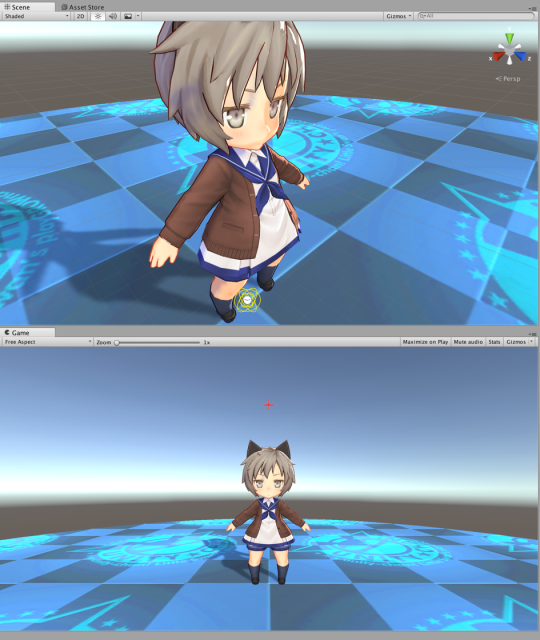 Yanase: I've also used it for still images. At a seminar for Unity we made a description of how to use the tool. When taking a screenshot with Gyazo, it's often used to write commentary and add it to a presentation. For this I often take screenshots with Gyazo, write some comments, and then add the images to a presentation. Because I take them very often, I used to quickly accumulate a lot on my desktop when using the normal OS screenshot function. Someya: I'm not an engineer but I am doing web production, events, and overall team management so I use it most often to make clear instructions. I often make PowerPoint presentations and share changes with web designers. For example "Can this be moved a little?" Until now I did this with text, and described where to look in an image separately. However, using Gyazo I was able to say "Here it is" "Here is a typo" "Move this part here" directly on the image. We've been able to move work forward more smoothly by specifying with Gyazo "here" is where it should be. Ando: Haha, In fact, about 30 minutes ago I used Gyazo to give a customer support. They asked "Where can I download the Unity software?" and i wrote "Please click here" on a screenshot using the drawing function. Wonderful... they are using the GIF and drawing function perfectly. If there was a Gyazo dojo they would definitely be top-level black belts. Up to this point we've seen many good uses, but it could be used for bookmarks too? I asked them about that. It can also be used to bookmark websites that are hard to find and save them in a Gyazo account. Q: Next, have you ever used Gyazo for bookmarks? Yanase: I am using it for that too! Speaking of websites that are hard to capture... It is easier to understand because it is saved as an image. After I capture with Gyazo I can keep it for later on my iPhone so it will be nice to use in that sense too. Ando: I will use it too. Rather than using text-based bookmarks, it's just like trying to copy it to Evernote, but it takes a little more time and effort to start and find things in Evernote. Gyazo seems a little easier and better. Indeed, Unity team! Thanks for completely mastering the tool! Next we talked a little bit about Gyazo teams. "Because there are some things that can't be shared with the world, with the security of Gyazo Teams I can have peace of mind." For a little publicity, we introduced the Gyazo teams features to everyone. Yanase: For teams are there new accounts? Yes, and there are separate apps for Teams too. Yanase: Since there is big demand for the arrow and annotation functions, it is much better to start using Teams as a company rather than using Gyazo Pro individually. Ando: At our company we are using slack, and if you search for "Gyazo" there were 6 or 7 people that shared screenshots. Yanase: Outside of Japan slack was not being used by Unity staff. It was only used in Japan but we told the other offices "Slack is amazingly convenient" and as a result we began to use it company-wide. So, we are likely to use Teams company-wide. Yanase: Many useful tools we use originate from the Japanese staff, haha. I think many people will talk about Gyazo and the Gyazo Teams applications. Since it is nice and really easy to use, I think having Pro and Teams side by side in the dock is very good. Ando: It might be a little extra time and effort in my case because when I put the name of the application in Spotlight it's less convenient to have two. Yanase: Also the security level of Teams gives peace of mind when there are things you absolutely do not want to be seen outside the company. Ando: I will absolutely use it! 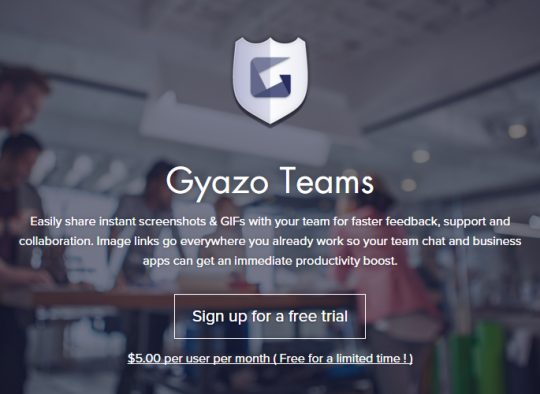 Ooo, so I just introduced the functions of Gyazo Teams and they had a tremendous understanding of its potential! 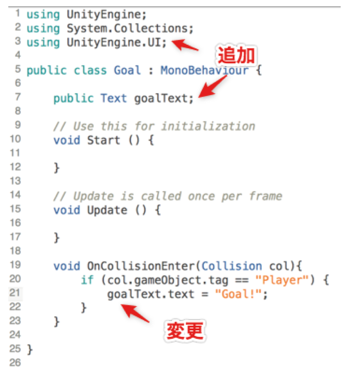 So, the story of Unity Japan is very similar in their offices around the world. Next I asked how it was used by their overseas teams. "Overseas Unity offices are also taking Screenshots for development use and support such as in the previous answers, the same as we use it in Japan." Q: How are people in the overseas offices using Gyazo? Ando: Inside Unity Copenhagen it is used frequently for development by the engineering team, or for support. How they use it is not different than we do it in Japan. Yanase: And the three of us are using Gyazo all the time. Q: How about for support? Is there a support desk team in Japan? This was a great conversation to have because everyone is using Gyazo all the time with each other. This is the end of our post about Gyazo features and how it has been fully embraced by the Unity team. With that, there is just one more thing! To Mr. Ando, Mr. Someya, and Mr. Yanase of Unity Japan, thank you for taking the time! Please continue to revolutionize the world of gaming! Please visit Unity's site if you would like to learn more about them.